Tennis is not just a fun sport. It’s also great for learning life lessons that extend beyond the court including sportsmanship, self discipline and independence. 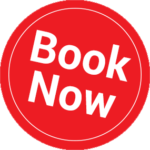 This programme offers the opportunity to combine 15 hours of English lessons per week with coaching by Lawn Tennis Association (LTA) qualified professionals. The programme will include lessons with two coaches and practice sessions with fellow students on the tennis courts adjacent to the school.. This programme can accommodate students of any level, from beginners to advanced players. Numbers of students enrolling for the Tennis Programme have increased dramatically over recent years and we have reacted by employing an additional qualified coach. During our busiest period we will continue with this successful addition to the team. Having two instructors has proved very effective as they can now demonstrate the shots for students to learn, showing them in action what is expected of them, before going on to assist the students throughout their lessons. Learn and develop tennis techniques. Please note that Ilfracombe hosts the primary Tennis Tournament in North Devon during the last week of July and students on the Tennis Programme are expected to take part. We would recommend that beginners at the sport do not enrol for the Tennis Programme this week as their participation in the tournament replaces their standard tuition. 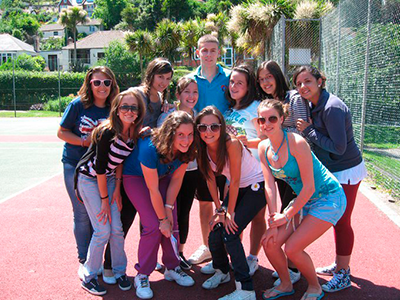 The Tennis Programme also includes one full day excursion, and at least three evening activities taken from the Discovering Devon Programme. 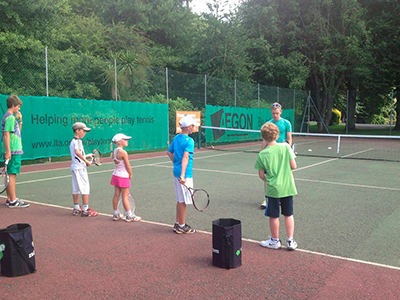 Extra one-to-one tennis lessons can be booked during evenings or weekends at £30 per hour. Price includes access to the courts by the school, plus use of tennis racket and balls.